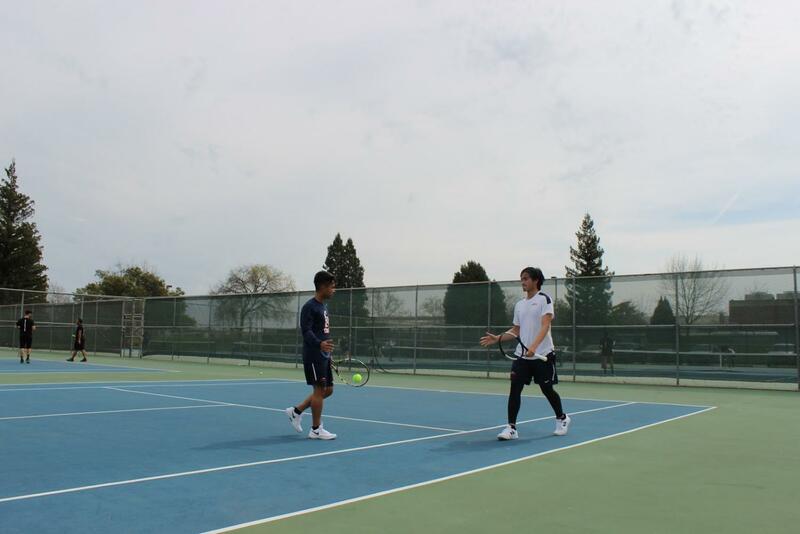 Freshmen Kien Dang (right) and Kyle Lopez (left) celebrate victory in their doubles match on March 19th. Dang and Lopez have been a strong team all year going 3-1 in their matches. The home court for the Hawks’ men’s tennis team was alive with action following a match between the Hawks and the Reedley College Tigers on March 19, where the Hawks won 6-3. 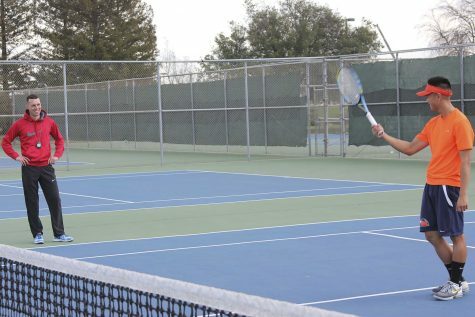 The Hawks women were also victorious against the Tigers, who had to forfeit their women’s tennis match, due to not having enough players available. 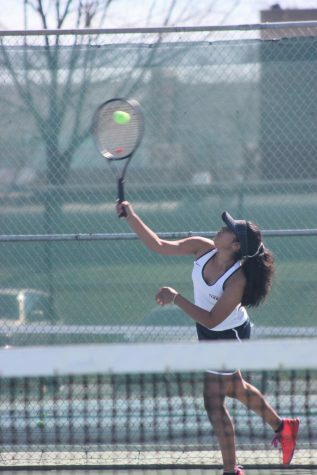 The Hawks won two doubles and four singles matches in what was their last home conference game, with a 1-3 score for conference games so far. De Mars said she credits this to more practice and a good line up this year. 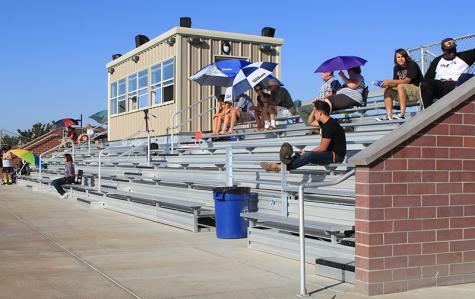 Vang is not the only member on the team with this particular goal in mind. 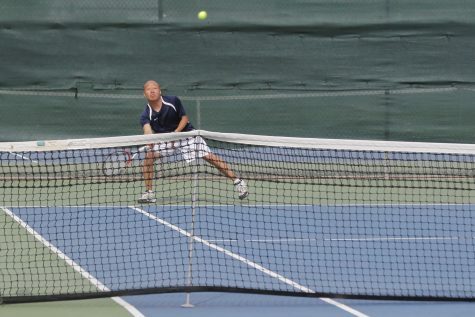 Dang and Freshman Kyle Lopez competed in a doubles match, winning the match and moving on to their singles matches. 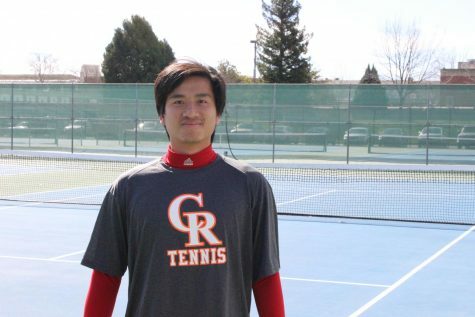 Dang won his match against Tiger’s player James Garcia by a score of 6-2, 6-1. 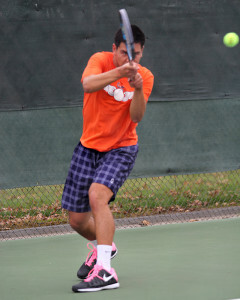 Freshman Maclean J. Samson said that he just focuses and makes sure to communicate and encourage his teammates. Getting to play with his teammates and being involved is one of the best things about tennis, said Lopez.